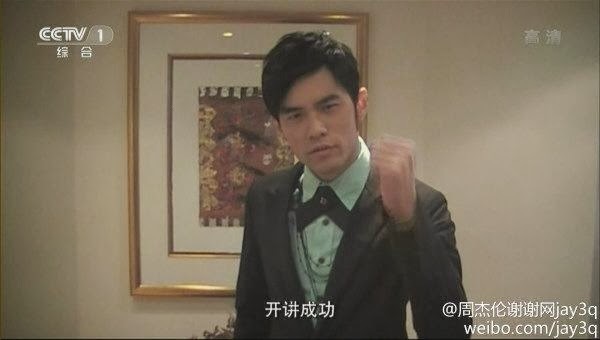 Jay Chou Diaoness: DIAOness Updates: GHA, Global Chinese Music awards, typhoon, MV book, Kobe! 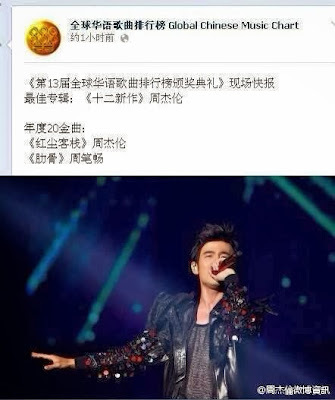 DIAOness Updates: GHA, Global Chinese Music awards, typhoon, MV book, Kobe! It's less than a week to OPUS JAY in Indonesia on 12 October! I trust all the fans have prepared to give Jay a huge welcome and an awesome PINK Sea! But before we hit that, here are some updates over the past few days. Jay was somewhat bitter about the lack of nominations for The Rooftop. 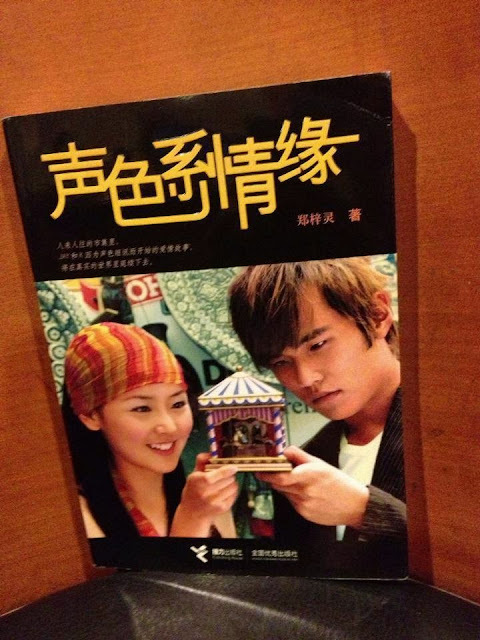 "Perhaps the dearth of musical movies in Taiwan explains why The Rooftop was not well-received and did not even get nominated in the music-related caregories. I understand now." Nonetheless, he had guts and gumption to try his hand at this genre and for that, he deserves praise and respect. 2. Jay has won for Best Album (OPUS 12) at the 13th Global Chinese Music Charts awards! And his Hong Chen Ke Zhan is one of the Top 20 songs! Congrats to His Royal DIAOness!!! 3. Typhoon warning for Taiwan and Japan...I think Jay is still in Taipei. Hope everyone stays safe! 4. Yours truly is now making her way slowly through this Chinese book. 5. Kobe was a guest at the same University event which Jay graced six months ago. He says Jay's basketball skills are pretty good. Here's a short clip which has Jay's recorded vid wishing Kobe all the best and exhorting him to share more about his life with the students to encourage them.